Periodically, we pose questions about issues artists face in their work and lives. This month, we asked curators, editors, and presenters: If you could convince artists to change ONE thing about the way they approach you/your organization for opportunities, what would it be? I’d ask of artists what I’d ask of presenters: encourage dialogue about art-making rather than buyer/seller marketing. As a presenter/curator who is also an artist (or an artist who is also a presenter/curator? ), I am conscious of how I choose to talk – and listen – when in one role or the other. Often, I find myself sliding between my artist and administrator brains. When talking with an artist about their work, the presenter in me slides into that creative space. The artist may speak with a collage of images, thoughts, gestures; I find I need to listen without seeking strict chronology or narrative. This can transcend the need to minimalize what the work is or could be. The artist in me tries to take lessons from these exchanges when I shed the presenter hat. I practice how I describe my work, even framing how I, as artist, hope they, as presenter, are prepared to listen to me. If I am too fixed in either the presenter or artist mindset, there’s no room to know what is making sense to the other person in the dialogue. And ultimately we want our conversations to be about how art can have an authentic relationship with an audience, and vice versa. Do not show any arts professional casual images of your work on your smartphone. That is a fine way of sharing images with your friends and family, but not with organizations where you’d like to exhibit. Consider sending a link to your updated on-line presence, whether it be your website or a relevant social media account such as Instagram. It’s often said that writers should familiarize themselves with the work a journal publishes before submitting their own work for consideration – it’s not new advice, but it’s true. That being said, I think it’s also true that readers and editors are looking for work that surprises in some way, and so this is not a request to send work that is like the work we’ve published before. At The Common, we look for essays, poems, stories, and hybrid forms with a strong sense of place, works that engage with place or space in their content, language, structure, characters, etc. We are interested in pieces that inhabit specific geographic locations (Acapulco, Lagos, Angel Island, the Demilitarized Zone), but we also look for works that explore imaginary places/spaces (an other-worldly truck stop, for example) or the sense of place that occurs on a smaller, more intimate scale (at an intersection, perhaps, within a house, or in a space of confinement), works that contemplate ideas of place and displacement. Ours is a call for writing that engages with and questions the ways we are shaped by and reflected in our surroundings – the places and spaces we inhabit, and enter, and exit: a faceless motel room or office suite, a family farm, war-torn city, or isolated mountain region, a subway car, a prison classroom, the inescapable pull of the ocean. When I read, there is no one way, no one thing I look for, but I encourage writers to think of our focus on place as wide-ranging. A friend says she has “big ears,” to convey the breadth of her listening and interest in music and sound, and in this sense, I would say we have big eyes. Do your homework: research a curator’s past projects (exhibitions, essays, the mission of their organizations or collections) before you ever make an approach for an opportunity. Ask yourself: how does your art relate to their demonstrated track record of projects? Are their areas of expertise applicable to your work? Which favorite texts or shows they organized are inspiring you to think differently and develop your work? Are they recent and topical? If so, approach them by referencing how these particular projects have inspired your work. That can open a door to a dialogue. And it shows an awareness and respect for a curator’s time. A curator would do the same: research an artist’s work before requesting his/her/their time to meet. By demonstrating that you appreciate someone’s ideas and time, and that your work could further their work, you establish a positive bond of potential symbiotic benefit. Your alignment makes it easier for even the busiest curators to make time to see for themselves how your work might further theirs. Finally, be honest: if you don’t see a correspondence between their interests (or institutional mission) and yours, do not force the connection prematurely. Instead, get to building the work in a way that extends the dialogues you wish to be a part of. Find the thought leaders in your areas. Work with *them* to organize shows. The best collaborations push art further because the dialogue and investment between artist and curator are mutually strong, and strongly mutual. “Read the instructions first.” I get it, playwrights might be so excited to apply – or might have left their application to the last minute – that they neglect to properly review all of the specifics of an application process. But application requirements are usually there for a reason – to make selecting your play as easy and fair as possible. Additionally, application processes like the ones I’ve run are the very beginning of a collaborative endeavor, and attention to detail and awareness of a collaborator’s needs help lay the foundation for success. Following up on an improperly submitted script costs the playwright more time and delays getting the script out to readers. It only takes a little bit of time to double-check your application, and it really goes a long way. American Shakespeare Center is now accepting play submissions for its Shakespeare’s New Contemporaries project. Read about the current submissions, which have a Feb. 15, 2018 deadline. The Common has an open reading period for poetry and prose until Dec. 1, 2017 (subscribers can submit year-round). Literary artists interested in submitting are encouraged to first check out the most recent issue. The Dance Complex will present the Dance Complex Teaching Artists & Student Concert, featuring new and recent works by teaching artists including Anna Myer, Adrienne Hawkins, and more, on Nov. 18 (8 PM) and Nov. 19 (7 PM). Jen Mergel curated the exhibition Daniela Rivera: The Andes Inverted, on view at MFA Boston through Feb. 25, 2018. 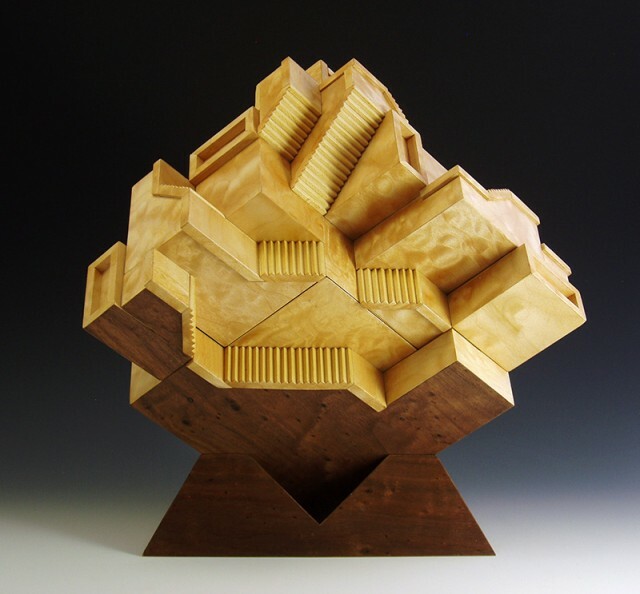 The Society of Arts + Crafts is exhibiting Fantasy Architecture: Sculptural Boxes by Jay Rogers thru Jan. 6, 2018 and From Minimal to Bling, a contemporary craft jewelry exhibition, Nov. 9-Feb. 3, 2018. Image: sculptural box by Jay Rogers. Photographers often enter The Gallery for the very first time lugging framed artwork and/or portfolios. I politely request they return all to their vehicle and come back inside The Gallery. Then we have a discussion on respect for exhibiting photographers at The Gallery. I ask them how comfortable they would be when Gallery Visitors enter The Gallery yet ignore their artwork. I encourage them to view The Gallery or any other venue to discover what is unique and why they wish to exhibit there. Our intimate gallery outsells other photography venues according to our artists. So, it is most important to introduce oneself first to a gallery owner. After all, it is the artist we position in an exhibit…through their artwork. As an arts writer and editor, this is wonderful advice, especially the one about not sharing casual images (this goes for attaching smartphone images to emails, too). Your work deserves to look its best! Sidenote: It’s great to see the American Shakespeare Center from my hometown (Staunton, VA) represented here by the Mass Cultural Council! Seeing plays at Blackfriars changed my childhood–thank you!